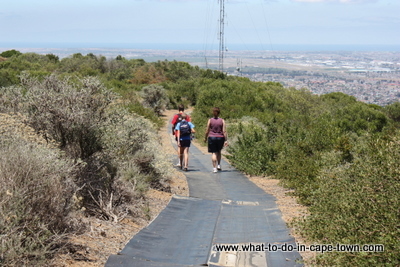 Proclaimed in 1973 the Tygerberg Nature Reserve is a small reserve in the middle of the Cape Peninsula. This reserve supports one of the last remnants of the highly threatened Swartland Shale Renosterveld Fynbos Vegetation. The reserve is rather small in South African terms (278 ha), but it boasts 460 different plant species of which 12 are threatened with extinction, eight are endemic to Cape Town and three endemic to Tygerberg itself. 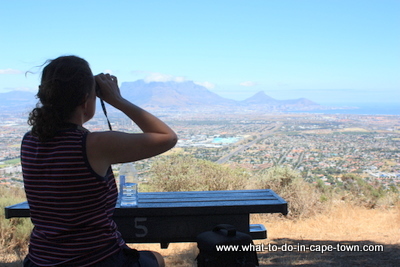 Beside the birds and small animals on view, the main reason I visit this reserve regularly, is that it offers a spectacular view of Cape Town. 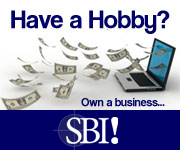 It lets you orientate yourself and see all the places you have been and intend going to. The reserve boasts seven hiking trails, with one being a wheelchair-friendly path. 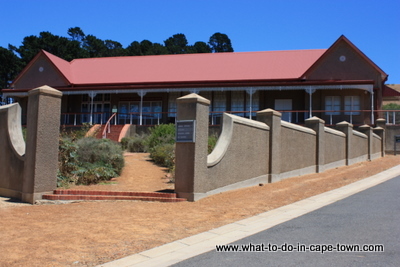 The Kristo Pienaar Environmental Education Centre features a resource centre, library and herbarium where geography, town planning and ecology lessons are offered. Where does the name Tygerberg come from? From a distance, the blotches visible on the hills of the Western Cape reminded Dutch settlers of a leopard's skin, and the hills became known as Luipaerts Berghen (1657). This was changed to Tijgerberghen in 1661, and is now known as Tygerberg. Many scientists think that these regular round patches are the remains of ancient termite nests. 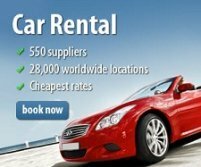 Find Komissaris Street in the affluent suburb of Welgemoed in your Cape Town map guide. The road from there is well marked by big, easy to see signs. 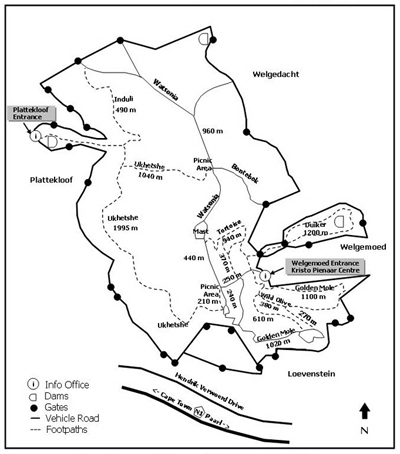 Tygerberg Nature Reserve Map source: Friends of Tygerberg Hills. 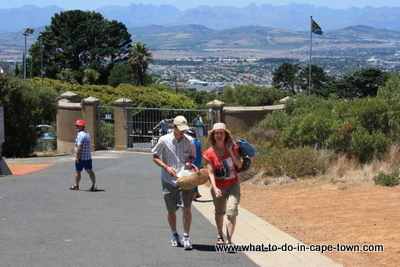 Return from Tygerberg Nature Reserve page to Homepage.